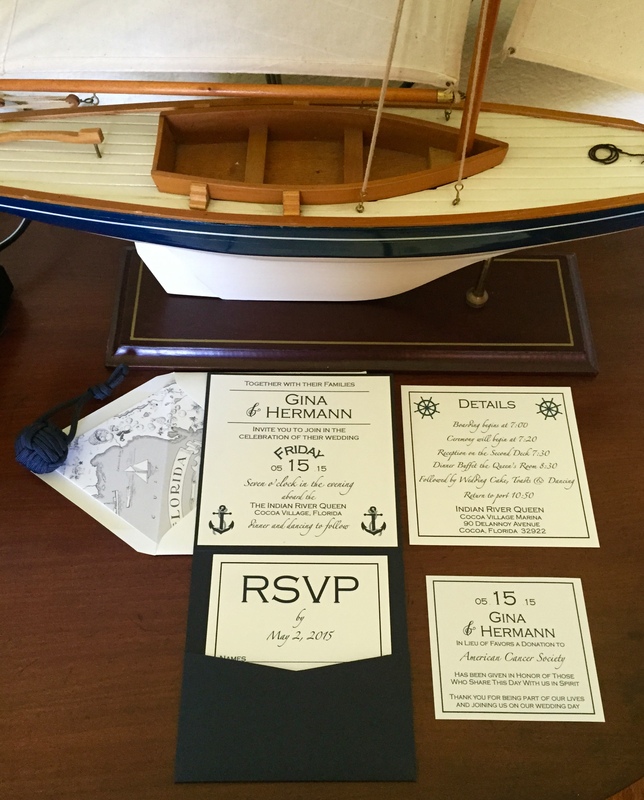 Look at this Nautical Invitation Suite created for Gina and Herman’s May wedding onboard the stunning Indian River Queen, a vintage triple deck paddle wheel boat in Cocoa Village Marina. Imagine the ideal setting…a Florida sunset and view of the Indian River as the “Queen” cruises majestically along. Folded Pocket Card 5.75 X 5.75 RSVP with return envelope and the Details Card are neatly held in the pocket. 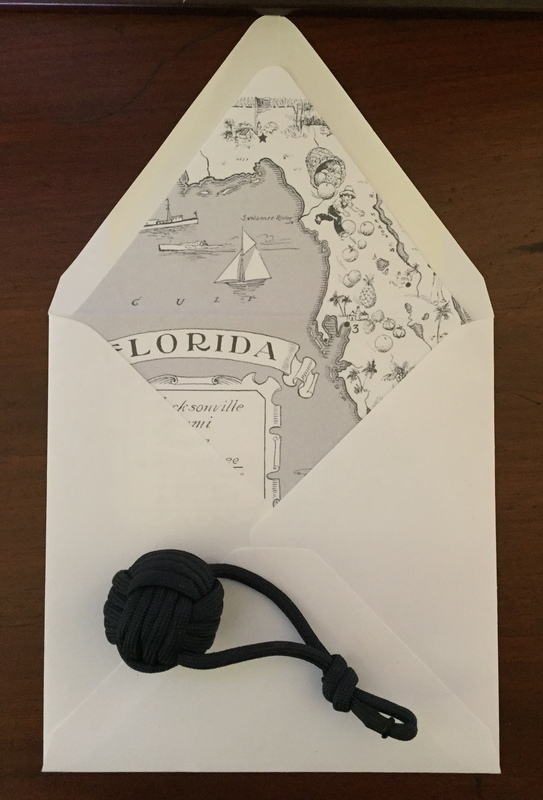 Special features include a vintage Florida map envelope liner, nautical illustrations and digital addressing…Nautical perfection! 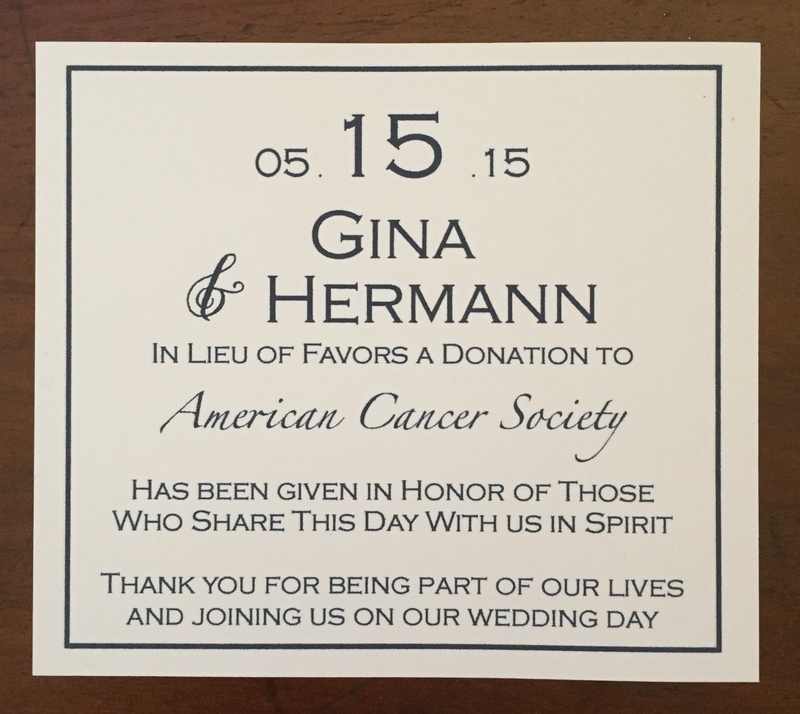 In Lieu of favors the bride and groom chose to made a donation to the American Cancer Society. 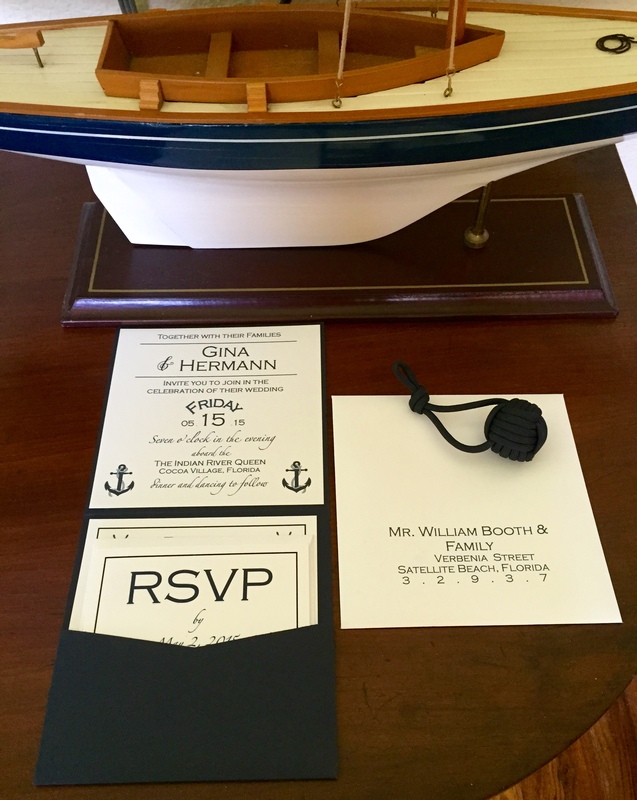 RSVP card, envelope and the details card are neatly held in the pocket. 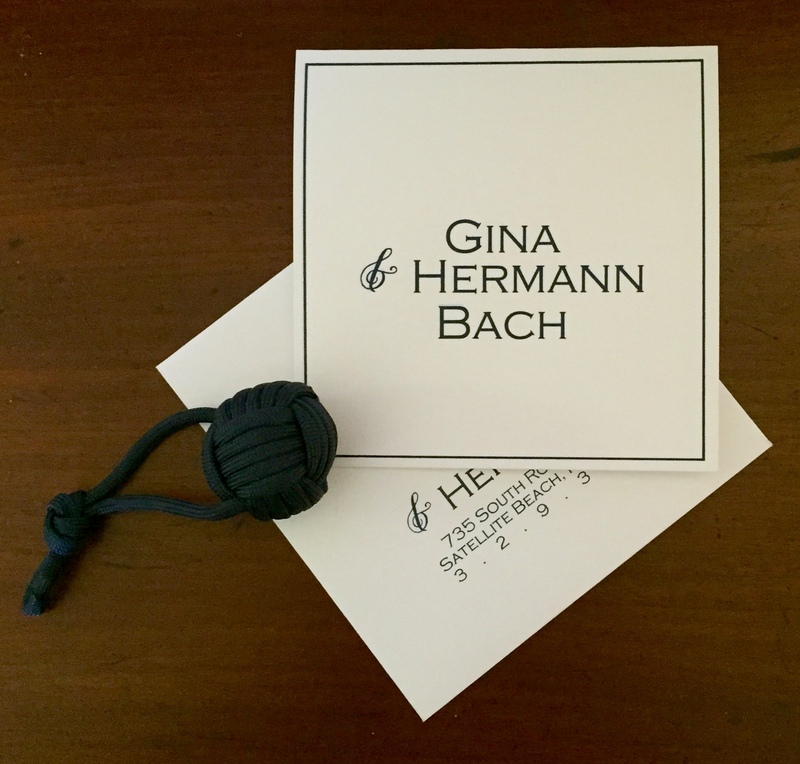 Navy folding pocket card with second layer of bright white linen paper and navy ink. In Lieu of favors the bride and groom made a donation to the American Cancer Society.